Mumbai: A 30-year-old man was detained for allegedly attempting to slap Union minister Ramdas Athawale at a public event in Maharashtra’s Thane district on Saturday night. 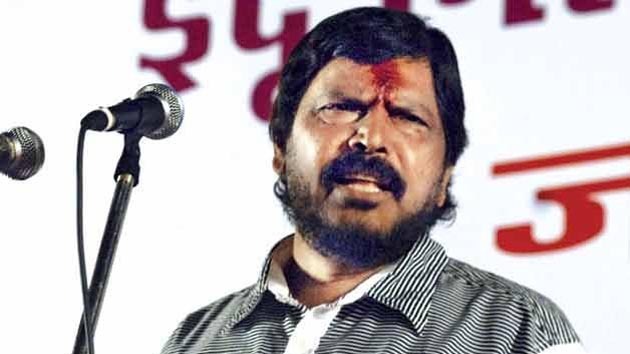 The Republican Party of India (Athawale) chief was in Ambernath town to address a rally. Athawale had just got off the dais after delivering a speech on the Constitution when the incident happened at around 10.15 pm, a police officer said. Pravin Gosavi, on the pretext of garlanding Athawale, allegedly tried to slap him, following which people overpowered him, beat him up and handed him over to the police. The minister was not harmed as the bystanders and police managed to foil Gosavi’s attempt to assault him, the officer said. Gosavi, who was first admitted to a hospital in Ulhasnagar town following the public beating, has been shifted to a state-run hospital in Mumbai, police said. The local RPI (A) unit has called for a shutdown in Ambernath on Sunday as a mark of protest.